The two things that kids love most in a swing set can be found in this playset from Congo. 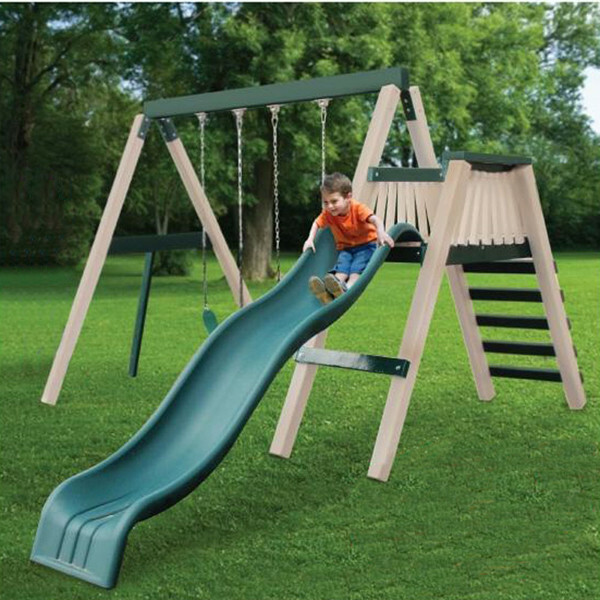 The Swing'N Monkey 2 Position set includes two swings and a 9 foot wave slide. 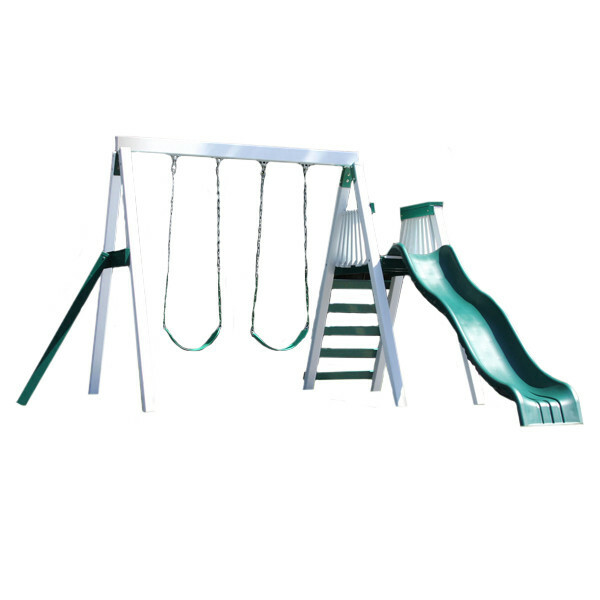 The slide is easily accessed by climbing and extra-wide ladder to a 54 inch deck with railings. 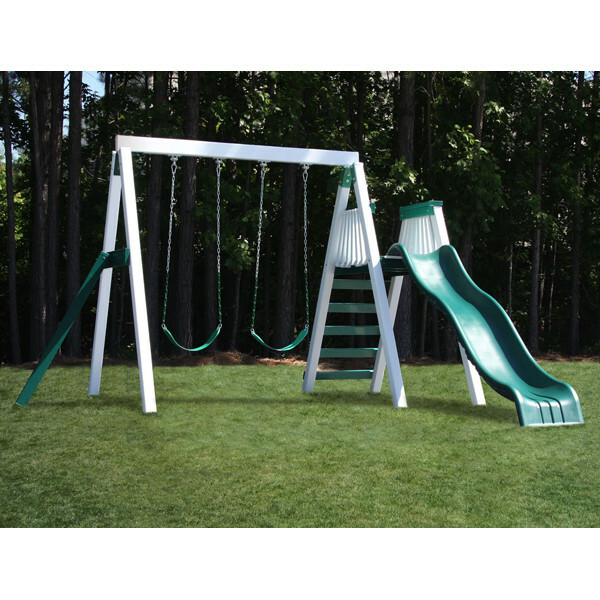 The 8 foot long swing beam is wide enough for two fun belt swings that are attached with heavy duty child-safe chains. 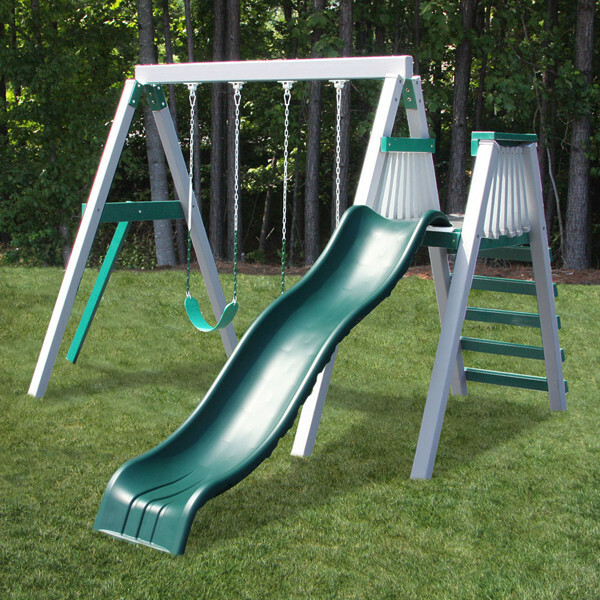 When you choose this swing set you can pick between two color combinations including green and white or green and sand. Just like all of Congo's high-quality play systems, the Congo Swing'N Monkey is ready to assemble with all pre-cut, pre-drilled lumber, and the needed hardware delivered right to your door. You can be guaranteed you'll get a quality product that is designed to hold up to weather with its maintenance free, polymer coated lumber. You can build it and forget it because it never needs to be stained, painted, or refinished. It also cleans up easily and will not chip, crack, rot, or peel.